Today marks the sixth anniversary of Superstorm Sandy. Here is a look back at some of the facts from that historic storm. Sandy was the largest hurricane to form in the Atlantic basin. Its tropical storm force winds spanned 900 miles in diameter. Impacts from Sandy were felt across 24 states, from Florida to Maine and as far inland as Michigan. The most severe damage occurred in New York and New Jersey. The storm surge at The Battery in NYC reached a new record high of 13.88 feet, flooding the streets, tunnels, and subways of lower Manhattan. Sandy was responsible for 72 deaths in the US. Of those, 44 were in NYC and 24 were in the city’s hard hit borough of Staten Island. More than 8 million people across 21 states lost power because of the storm. 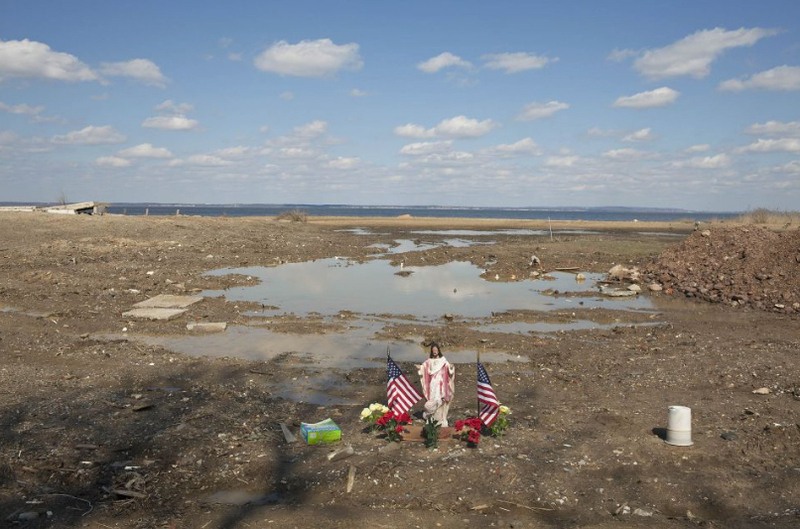 Sandy caused more than $70 billion in damage. It was the fourth costliest storm in US history after Katrina, Harvey, and Maria. Five years ago today, Superstorm Sandy slammed New York City. Its record storm surge flooded many low-lying areas and claimed the lives of forty-four people across the city. Of that number, twenty-four were on hard-hit Staten Island. To mark this anniversary, local artist Scott LoBaido created a temporary installation in his home borough. Honoring each local victim, he constructed unique figures out of chicken wire and battery-operated LED lights. Scattered across Midland Beach, the display is a poignant reminder of the deadly storm and the dangers of rising sea levels. It is on view through 11 PM on October 30. One year ago today, Super-storm Sandy slammed the New York City tri-state area. Despite being downgraded from hurricane status just prior to landfall, Sandy was the second costliest natural disaster in U.S. history. Coming ashore with tropical storm-force winds at high tide, Sandy caused a record 13.88-foot storm surge. It flooded many low-lying areas, including parts of the NYC subway system. Damaging or destroying more than 650,000 homes, the massive storm displaced thousands of people for months. According to NOAA, Sandy claimed the lives of 159 people and caused approximately $65 billion in property damage. The storm also knocked out power to 8.5 million people for multiple days – including most of Manhattan south of 34th Street. 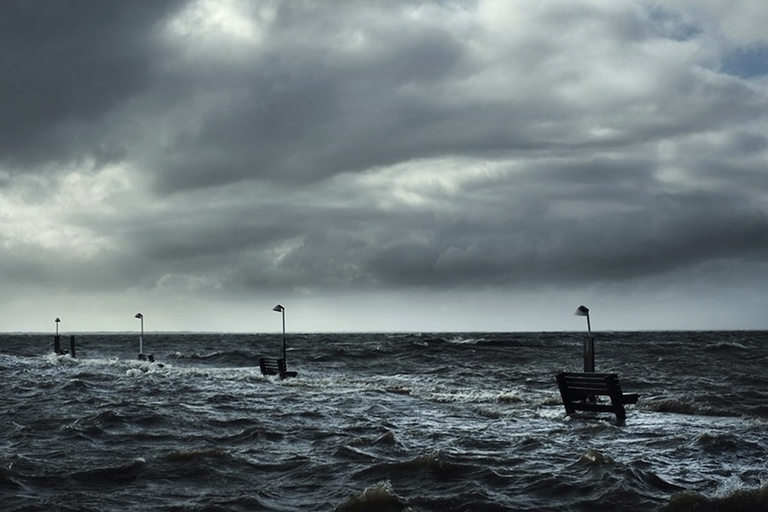 Sandy’s flooding storm surge also highlighted the dangers posed by rising sea levels. In the wake of the storm, many government agencies – at all levels – began re-evaluating their strategies for dealing with future natural disasters. The National Hurricane Center changed its policy for issuing warnings on post-tropical storms and is developing a new storm surge warming system. New York City’s Office of Emergency Management re-drew its hurricane evacuation zones. And, the National Flood Insurance Program, operated by FEMA, began implementing new policy rates for homes and businesses in flood prone areas. While the arduous process of rebuilding is ongoing, progress has been made across the region. Recovery levels vary by location.